The Buffum Total Learning Center recently held a Bus Driver Appreciation Day, providing breakfast and praise for the efforts that drivers make on behalf of students. The show of appreciation included a large banner displayed on the pre-K center's fence, depicting the bus drivers as passengers on a school bus. 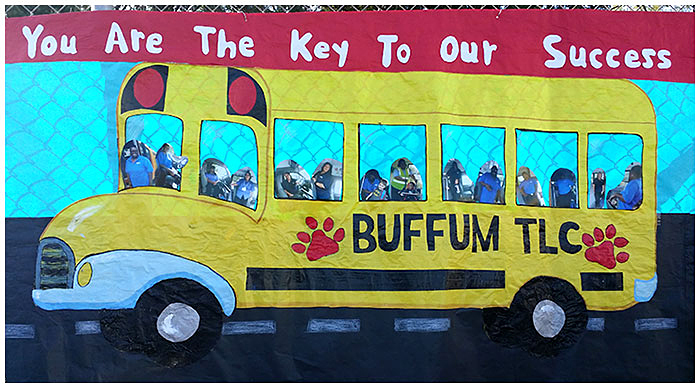 DRIVERS THANKED – A large banner on the fence at the Buffum Total Learning Center thanks bus drivers for their daily efforts to support students.